Carol had always been a seeker of the spiritual world. 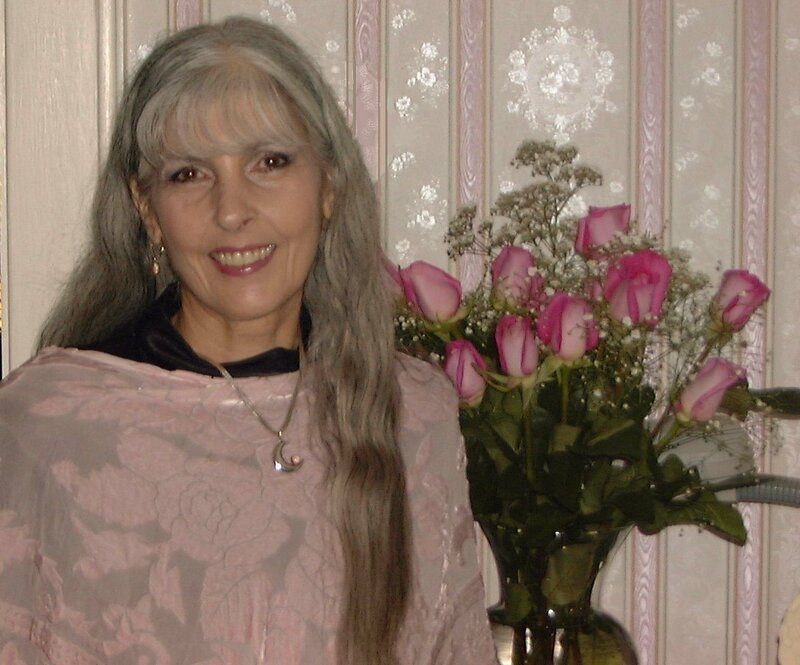 Her foundation of spiritual growth began in 1965 with the anthropo- sophical works of Rudolph Steiner and then blossomed when her journey took a serious turn in 1967 and she landed in northern California. There she met with and studied under Chinese herbalist Michael Tierra, Herbalist Rosemary Gladstar and health food innovators Aveline and Michio Kushi. Through her professional life she has worked as a hypnotherapist, tarot card consultant and teacher. She has a wide variety of meditation self help cd’s available on her website at www.alphee.com. Carol is a full time counseling astrologer with 34 years of experience. Her clientele comes from all over the world for her natal chart and yearly forecast sessions. Over the years she has lectured at many well known national astrological organizations and conferences as well local business groups and professional organizations such as the Rotary Club, Civitan, Travellers Insurance company, Aetna Insurance, Sikorsky, Pratt & Whitney, Combustion Engineers and dozens of others. Connecticut’s largest newspaper, The Hartford Courant as well as local radio stations and television stations, NBC, CBS and ABC news, have featured Carol for their news worthy astrological information. She and her astrologer husband, Alphee, had two of their own radio shows in the Hartford area for over 10 years and Carol was heard weekly giving astrological quick readings over the WRCH air waves morning drive show from 6-9 for many years. Carol has been a radio and TV personality for many years, creating and hosting her own television talk show for 7 years called Positive Lifestyles. Her guests included some of the most noted authors, astrologers, physicians, health practitioners and leading forerunners of awareness and consciousness from all over the country in our field today. Writing for major publications is not new for Carol. Horoscope Guide, Mercury Hour, Aspects, Astrology – Your Daily Forecast , True Astrology, Brides, and American Astrologer are among the many publications that contain her works. For 4 years her monthly columns of HealthScope and PetScope were read in Horoscope Guide magazine. For the last 6 years she has been writing astrology columns for a large company’s website and promoted astrology in the community with her bi-monthly ‘mini’ readings held at the local Border’s Books and Music. In 2006 she and Alphee wrote a column called CTZodiac for the Northeast Magazine which was part of the prestigious newspaper, the Hartford Courant. The articles were not of a sun sign nature. Instead they presented some of the most interesting astrological information about a wide variety of current and historical events throughout Connecticut and the United States utilizing true full charts. She writes for many online venues, and, of course, her full time counseling career continues to thrive. She and Alphee Lavoie, founder of Air Software, are married and she continues to assist Alphee throughout his many endeavors, including the creation of his three horary books and his latest, The Four Paths to God, by rewriting, editing, printing, layout, design and publication process as well as his many articles and the NCGR book, Essentials of Intermediate Astrology. Carol is also head of Alphee’s Astrology Online School and an integral part of the Astrological Institute of Research. She runs the office for all three companies, writing texts, documentation, website, books, articles, ads, brochures, promotionals and handling all of the many demands that keep a company up and running! Today it’s rare that you’ll ever see Carol lecturing at conferences. Instead she is with Alphee in the Air Software booth demonstrating and selling their full line of software. She has traveled around most of the world earlier in her life and has hung up her suitcase to hold the fort and manage her successful counseling business. One of Carol’s passions is medical astrology and wholistic health through alternative health care. She has invested over 40 years in these studies, including studies at Bridgeport University, Caduesus Institute, Chinese Herbal Institute of CT and studies with today’s leaders in the field of herbology, homeopathy, diet and nutrition and other alternative systems. She holds a Master’s degree in Special Education from NYU and taught children with special needs for many years prior to opening her counseling business over almost three decades ago. In her spare time she spends her time painting in water color and oils. Her oil paintings have been accepted to many juried shows and art galleries. She is deeply involved in the rescue cats and dogs in alliance with the no kill shelter, Protectors of Animals and other shelters. She has made large contributions of her paintings to the Protectors of Animals shelter in East Hartford and other worthy causes to help raise the much needed funds for shelter animals.